The Surface Pro 4 was released on October 2015. While similar to the Surface Pro 3, it has a thinner bezel allowing for a slightly larger screen. The touch-screen for the MS Surface Pro 4 is a fused/bonded unit so replacement screens are the full Digitiser/LCD assembly. 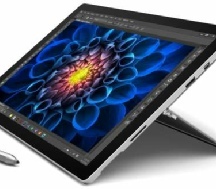 Mountain Stream Ltd can replace your touch-screen and return your repaired MS Surface Pro 4 quickly and cost effectively. The Surface Pro 4 has been built in such a way as to make it extremely difficult to separate the touch screen from the body without breaking the screen. Also, all internal components are glued into place. We may consider repairs other than broken screens but only on the understanding that the liability for consequential damage lies with the customer. We can arrange free collection and return of your MS Surface Pro 4 in RG1, RG2, RG4, RG5, RG6 and parts of RG7, RG10, RG30 & RG31 (depending on distance). For all other MS SURFACE PRO 4 repairs please call or use our enquiry form for a quotation.